The World’s Most Powerful Airline Brand Is Aeroflot? A new global brand study says the world’s most powerful airline brand is …. Aeroflot? Valuation and strategy consultancy Brand Finance, which values the brands of thousands of the world’s biggest companies, says Aeroflot currently has the most brand awareness thanks to its domestic brand equity, marketing investment, a new fleet and Russia’s growing hub status. American Airlines is the most valuable brand however, worth $9.8 billion, says Brand Finance. Brands are first evaluated to determine their power and strength (based on factors such as marketing investment, familiarity, loyalty, staff satisfaction and corporate reputation) and given a corresponding letter grade up to AAA+. Brand strength is used to determine what proportion of a business’s revenue is contributed by the brand, which is projected into perpetuity to determine the brand’s value. The world’s 50 most valuable airline brands are then ranked and included in the Brand Finance Airlines 50. So with that backdrop, the survey to find the world’s most powerful brand is not necessarily about who has the most money, it’s about who can generate the most revenue from its brand, though that certainly sounds like splitting hairs. 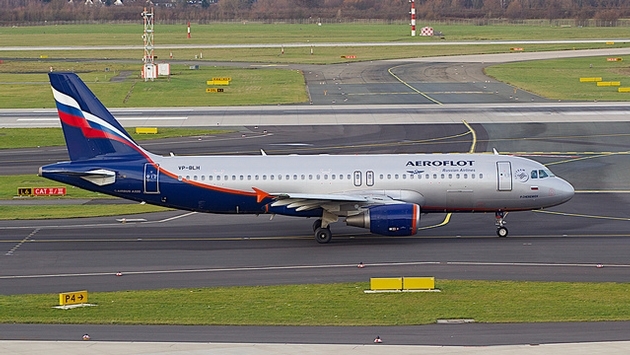 Nonetheless, Brand Finance found that investment in Aeroflot, its young fleet, it’s marketing – particularly in sponsoring Manchester United, the world’s most popular soccer club – and the fact that it is successful on routes that it does not have exclusivity on makes it a powerful combination. U.S.-based airlines, however, own the titles of top three most valuable. With a brand value of $9.8 billion, American is now the world’s most valuable airline brand for the first time since 2007 – displacing its chief Middle East Gulf rival Emirates. Emirates’ brand value is down 21 percent to $6.1 billion, while the largest major U.S. carriers, including American, Delta, United, Southwest and JetBlue, have achieved a year-to-year growth rate of 68 percent.